A study by Dr. Craig Harms and colleagues regarding euthaniizing whales is garnering widespread attention. 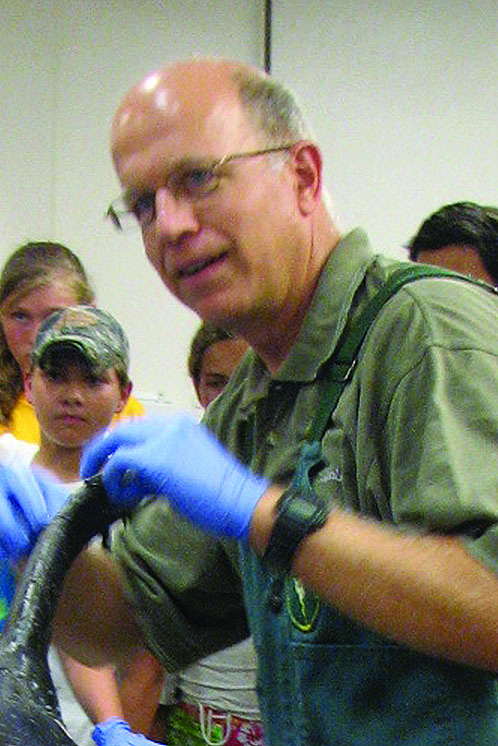 So said CMAST’s Craig Harms, D.V.M., Ph.D, regarding a study he published, along with colleagues, in the Journal of Wildlife Diseases which has garnered widespread attention, most notably in a featured article by National Geographic. The new study identifies a pharmaceutical solution to easing the passage of stranded whales who will not survive, and face slow. painful deaths after being beached. Craig A. Harms, William A. McLellan, Michael J. Moore, Susan G. Barco, Elsburgh O.Clarke, III, Victoria G. Thayer, and Teresa K. Rowles (2014) LOW-RESIDUE EUTHANASIA OF STRANDED MYSTICETES. Journal of Wildlife Diseases: January 2014, Vol. 50, No. 1, pp. 63-73.